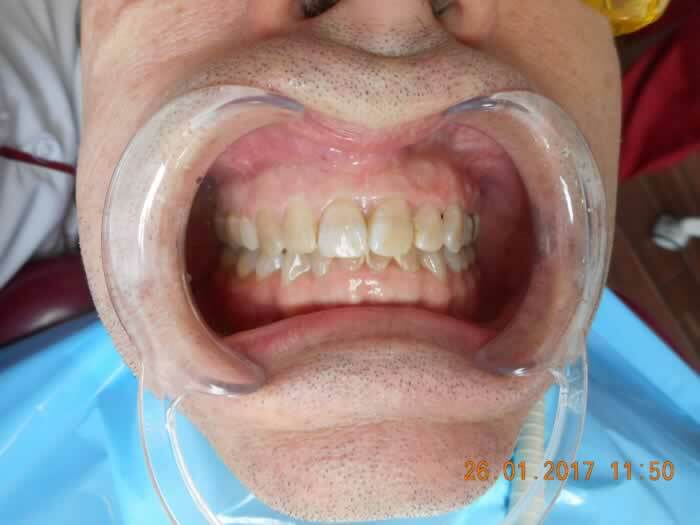 This patient had antibiotic treatment when he was a child, which made his teeth discoloured. 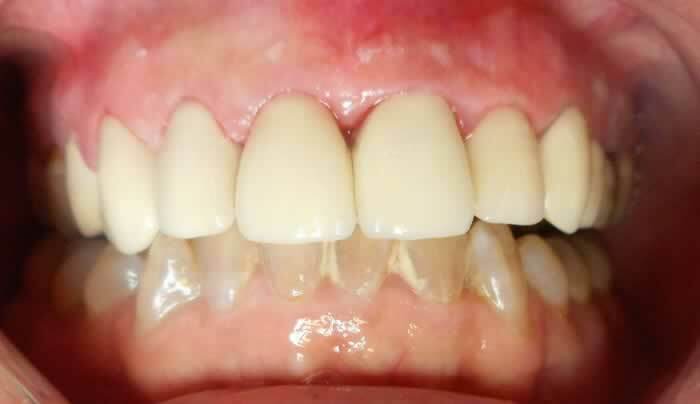 Unfortunately tooth whitening didn’t help, so he decided to cover the most visible 8 upper front teeth with veneers. 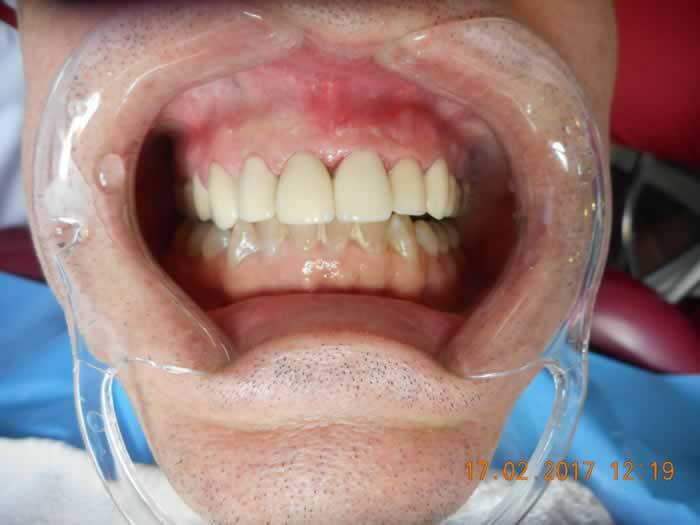 After a conservative tooth preparation we fitted 8 veneers on the upper teeth only in 2 weeks to give them back the colour he was looking for. He is now considering getting the lower teeth done as well.